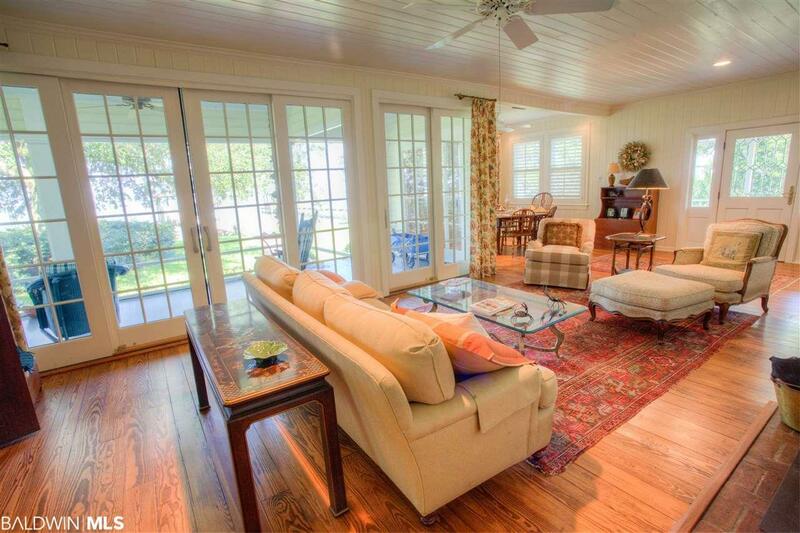 Back on the market as of 3/13 - just in time for spring. 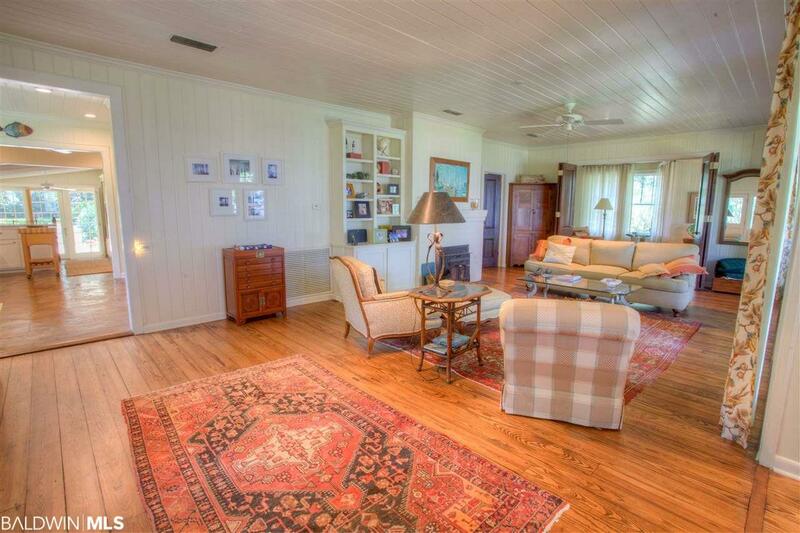 This 'old bay cottage' offers old world charm and appeal - with high ceilings, wooden walls/ceilings and heart pine floors together with thoughtful updates making this an easy living home on 80 feet of waterfront in a prime location. It even has a sandy beach! All new windows and a Hardi-Plank exterior provide maintenance free living. It offers four bedrooms and four bathrooms, two on each floor. The kitchen was upgraded in 2017, including quartzite countertops and upgraded appliances with a large gas cooktop. The master bath was updated in 2016, with natural stone floors in the shower. 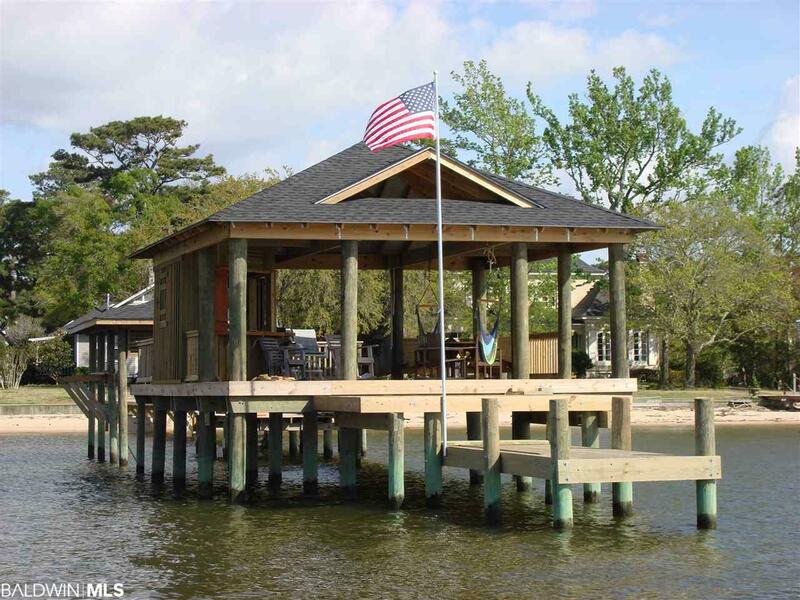 Eight foot high sliding Pella doors across the west side access the screened porch - providing views of the yard, the Mobile Bay and the custom gabled wharf, which has its own fully equipped kitchen, bar area and separate boat house with lift. Many windows and doors have plantation shutters. 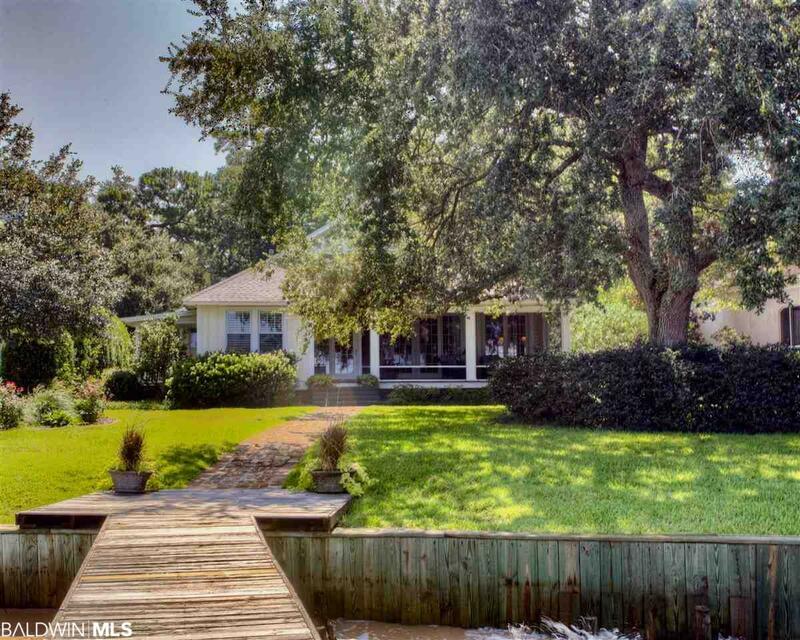 A huge live oak, surrounded by camellias grace the bayside property as well as many other mature plantings. Whole house generator. New roof, 2018. Irrigation system has separate well. Both the home AND the wharf offer tankless hot water heaters This sought-after location is 1/4 mile north of the Grand Hotel. Appointment Only. Sqft and tax info deemed approx and shall be verified by the purchaser.